This functionality has been evolving as of mid 2011 and may not work for you. Sirius/XM has been changing the format of their online streaming. Watch http://www.permanence.com/sirius/ for the latest information. If you are a Sirius online subscriber, then you can listen to most of the Sirius channels online in most web browsers. It’s a very nice way to listen to Sirius at work. The quality is quite good too. 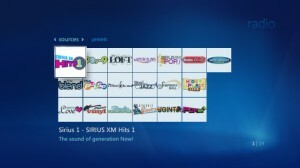 But did you know you can easily add the same Sirius channel lineup to your Windows Media Center? Here’s how I did it. 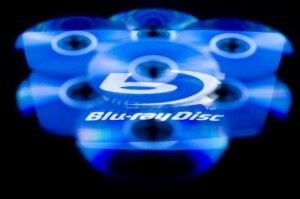 First, of course you will need a computer with Windows Media Center. I happen to be running Vista x64, but I believe this will work on all versions of WMC. Next, you will need to get a small, free program called “Sirius XM streamer“, which basically sets up a proxy on your computer to the Sirius streams. To install it, you will have to have the .Net 3.5 framework installed on your computer (also free). Installation instructions are available on the Sirius XM streamer website. When you get the streamer installed on your computer, go to the configuration page and enter your Sirius username and password. The streamer should also work for XM streaming, but I don’t have XM, so I can’t speak for that. For the default stream protocol, choose HTTP and for the format choose ASX. Leave Listening IP set to All and listening port set to the default 51710. Your published URL should look like http://127.0.0.1:51710. The TVersity Media Server details can be ignored. On the options menu, enable the start server automatically option. Start the server and after a few seconds you should see the server running messages. folder. Of course replace USERNAME with whatever username you use when you run WMC. You may need to create the folder. Here are the two text files I needed for Sirius Hits One. I named them “Hits One.mcl” and “Hits One.htm”. And I created a subfolder C:\Users\USERNAME\AppData\Roaming\Media Center Programs\Radio\Sirius for the icon images. <application  name="Sirius 1 - SIRIUS XM Hits 1"
description="The sound of generation Now!" You can see where the mcl file points to the jpg image to use for the icon. Those images are 124×124 pixels, regular jpg files. I didn’t do anything fancy with them, but I did try using gifs and tried to get the transparency to work, but it would not. If you have better luck, let me know. Also, I do not know what the difference is between “startimage” and “thumbnailimage”. As you can see I set them both to point to the same image, and it seemed that it had to be that way. Again, if you figure something else out, let me know. Place the images in the Sirius subfolder created above.